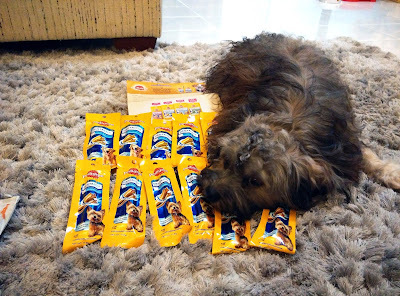 Thank you so much Pedigree Malaysia for sending some samples of Dentastix for Benji. 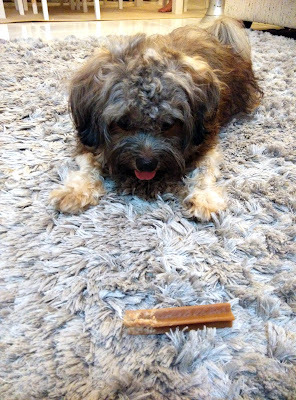 Dentastix is a unique "X" shaped treat clinically proven to reduce plaque and tartar build up. 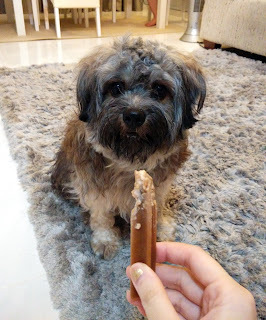 A Dentastix a day keeps the cavities away. He couldn't wait to open the package. Can he really smell it? Wow! 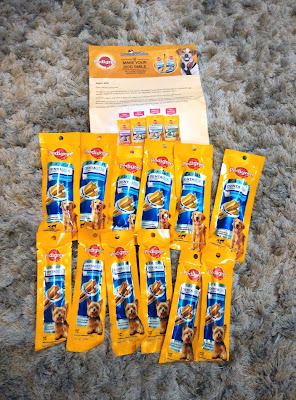 Truly appreciate the samples of Dentastix from Pedigree. Do visit Pedigree's website or Facebook for more info on this product. 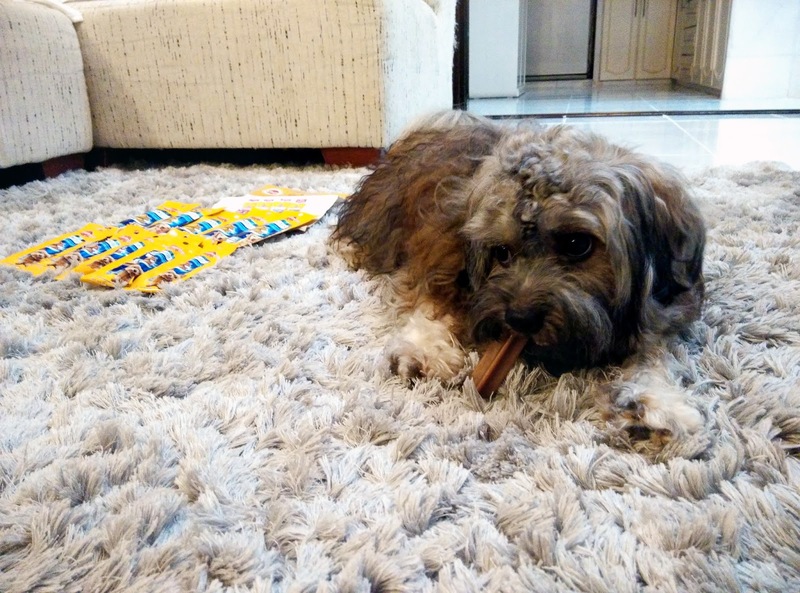 Dentastix is available in Puppy (59gm), S (75gm), M/L (86gm) and S Green Tea (75gm). 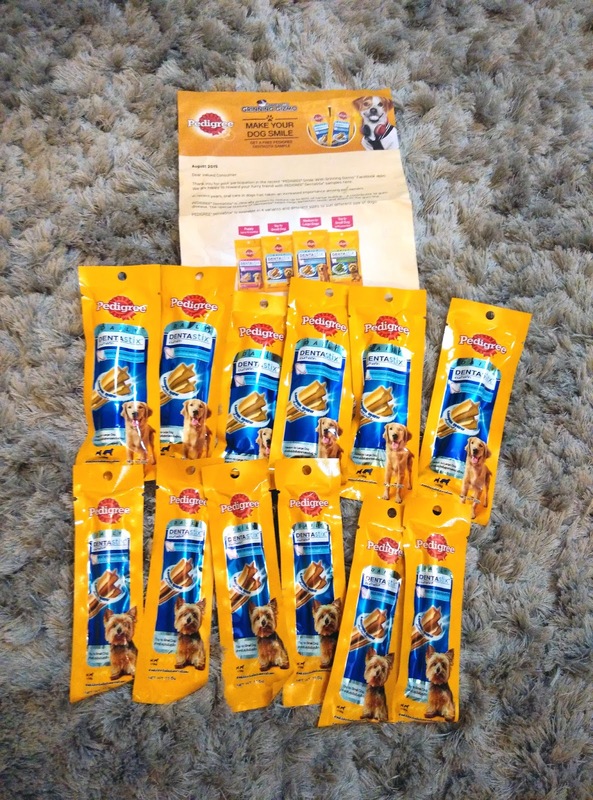 Benji received 6 packets of small and 6 packets of large. Do you want a giveaway? Do let me know. 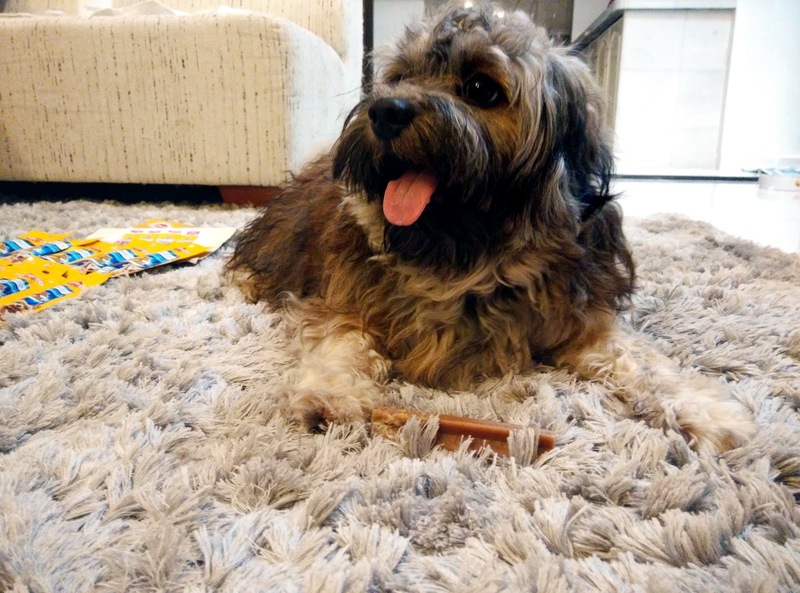 A great 2 in 1 purpose not only tasty for dogs but also cleans your furkid's teeth. He is absolutely loving it. Benji can finish a stick within 30 minutes. 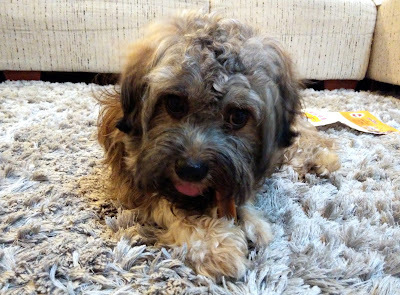 His groomer, Rosie told me that she gave Benji Dentastix during boarding. 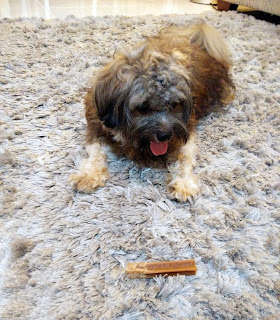 Oh, no wonder he is so familiar with Dentastix and immediately gnaws on it without hesitation. 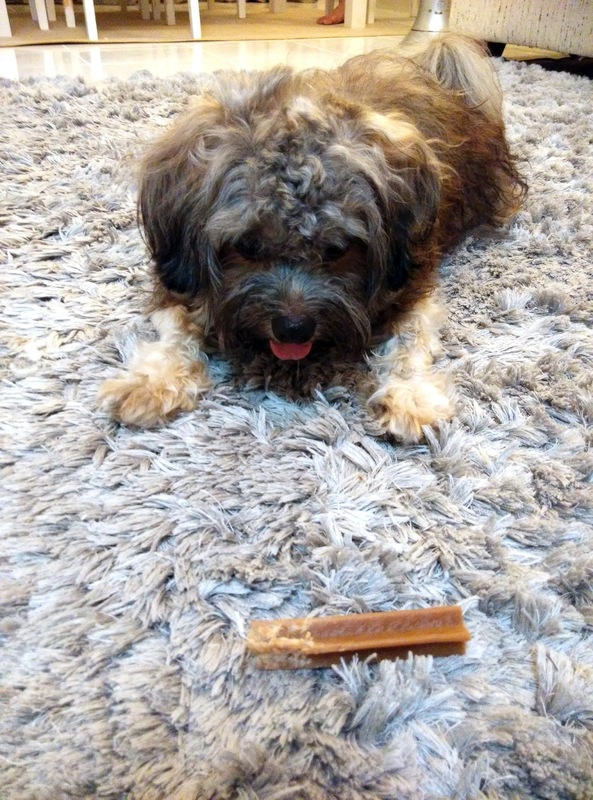 But seriously which dog doesn't like this treat? Here is a video of Benji's reaction towards Dentastix. 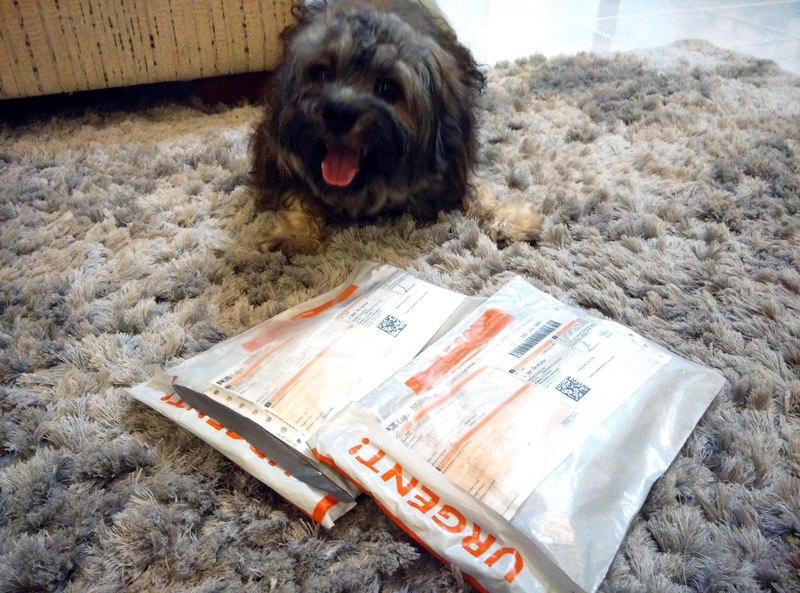 He was very eager to have it. Last year he was only a fragile little puppy. 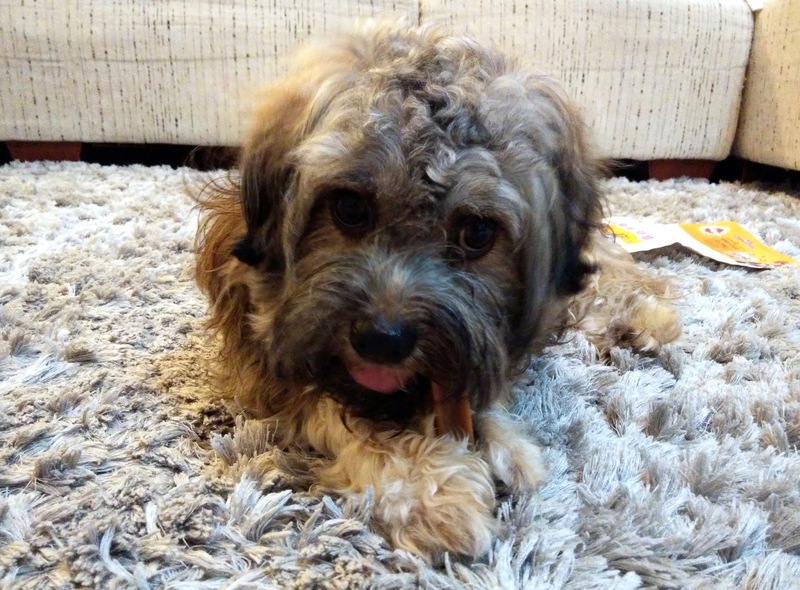 Benji was adopted not bought. His siblings weren't as fortunate as him. Celebrated Benji's 1st birthday on 22nd August. So blessed to have saved a puppy and provided him a good home. Grew up to be a disastrous little monster tho.